Finding any PSA Gem Mint 10 Mickey Mantle card is a truly magnificent accomplishment, with this sensational 1966 Topps Rub-Off 'Commerce Comet" offering achieving the seldom surfacing "Gem Mint 10" assessment! The methodology for the eclectic 1966 Topps Rub-Off set somewhat mirrored the 1961 Magic Rub-Offs, and included 100 baseball stars as well as 20 team pennant subjects. All 120 cards measure approximately 2-1/16" x 3", depicting colorful player portrait poses for some of our National Pastime's legendary Hall of Famers (Mantle, Aaron, Clemente, Koufax, Mays, Banks, F. Robinson, Yaz, etc.) with their names, positions and respective teams affixed on a colorful ribbon directly beneath the hallowed illustrations. 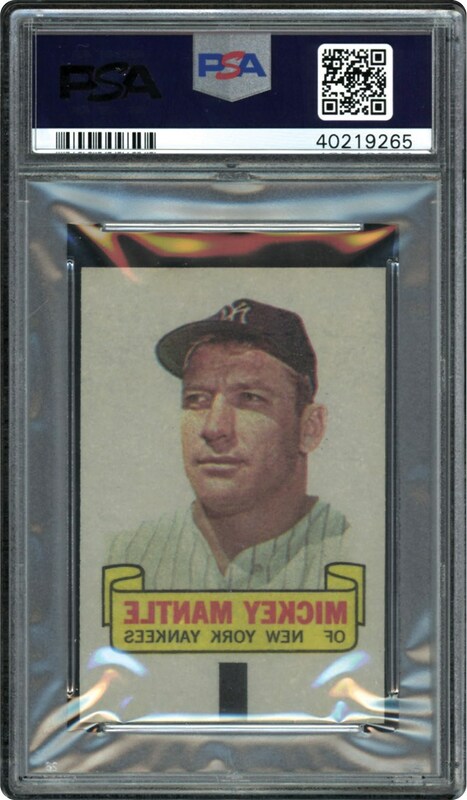 As is the case with virtually all post-war sets, the most desirable and valuable subject is the immortal Mickey Charles Mantle, with the "Mick's" unparalleled hobby popularity stemming from his iconic 1952 Topps subject as well as his awe-inspiring supernatural power. 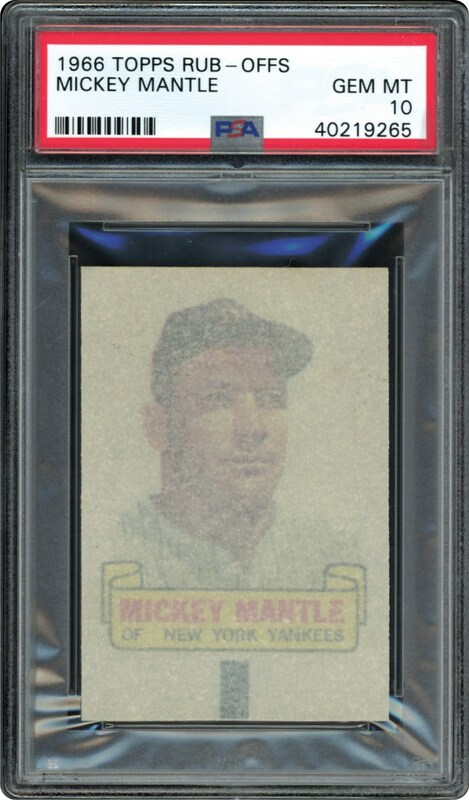 Thus, this immaculate PSA Gem Mint 10 offering stands as one of the amazing Mantle keepsakes extant, and a collectible that merits serious attention from any advanced enthusiast!